Every have one of those moments in the office, where your brain is fried an all you want to do is leave? You can't do that, there's still seven hours in the work day, so instead you reach for your toy on your desk. 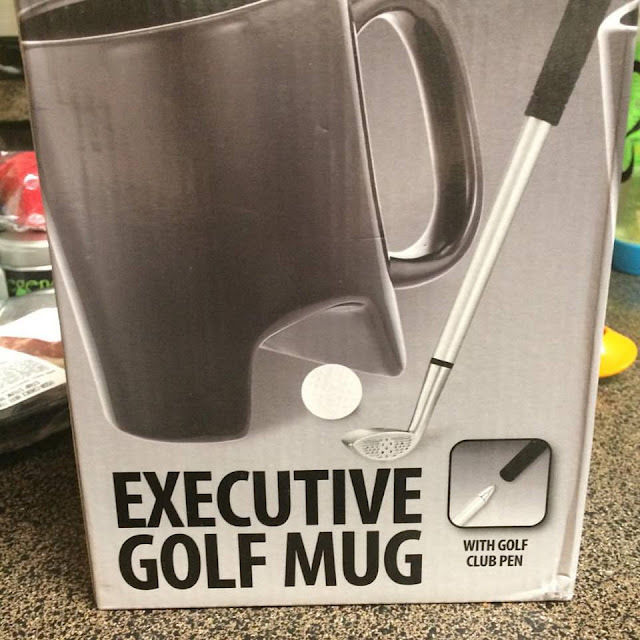 The Executive Tabletop Golf mug is the perfect gift for any golfer out there who is stuck at a desk every day. The mug is tall for coffee and balances well, and then you have the best features. The golf ball, and the club. Whack the ball, hit it under the mug, and then do it again! Need to sign something real fast and then practice your putting again? No problem, pop the lid off the club and boom! Pen. Great Christmas gift for the golfing executive!